The 45-year-old commando wishes he would be posted back to Kashmir, much to the alarm of his wife Uma Singh Cheeta. NEW DELHI: Nine bullets, two months of coma and multiple surgeries later, Chetan Kumar Cheeta is raring to go back to action in Kashmir. 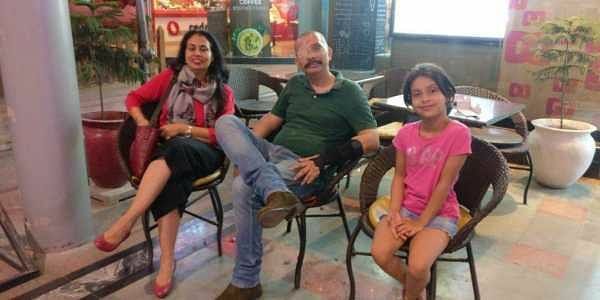 The commanding officer of 45 CRPF, who survived an encounter that might have felled the best of bravehearts back in February, is all set to report to HQ in New Delhi in about a month. His arm, pierced by an enemy bullet, may not be able to pick up his AK-47 yet; his right eye, which he lost in that action in Bandipora, is steadily being reconstructed. Nevertheless, the 45-year-old commando wishes he would be posted back to Kashmir, much to the alarm of his wife Uma Singh Cheeta. “I was in Chennai and Coimbatore recently for reconstruction of my eye and I will be visiting again for the second phase of treatment. I would be reporting to headquarters within a month,” says Chetan Cheeta. He has been after his doctors to rush whatever they have to do on his battle-scarred body and certify him as fit for duty again. He’s already been through five major surgeries and numerous painful skin grafts, and now awaits five or six more procedures to go through, perhaps a brain surgery too to tackle a bullet wound. Doctors were taken aback by his eagerness to go back to his post. Several rounds of physiotherapy have improved his hand movement to a great extent. He can write now, and is mentally alert. “I’m rocking again,” he says, repeating his quip when he was brought down to New Delhi after the the Bandipora encounter with bullet injuries in his brain, right eye, abdomen, both arms and left hand and hips. “I lost 25 kg while in coma and I have now regained all 25 of them,” he says, breaking into raucous laughter.